Marcinho, born in Salvador-Brazil, met forró in 2003, going out to parties. One year later, felt needs to get deeper in that culture and dance by studying the masters and contributors of Traditional Forró (Forró Pé-de-serra). During his improvement, he learned to sensitize himself by the music, trying to transform it in movement. Like Marcinho always says: "I don't dance forró, it's the forró that makes me dance!". In 2006,he woke up to his gift of teach and from that moment, got engaged in forrozeiros world. In 2007, started to dedicate to Samba de Gafieira, that became his second passion on life. In 2013, moved to Bordeaux-France in order to show to the french ones his culture and strengthen the forró movement in Europe. During this time, has been teaching and sharing the culture of this wonderfull dances. For Karen Forró is about joy. She sees it as a platform for togetherness and a way of communication. Karen likes a simple, smooth and light-hearted style of dancing. When she is teaching it is very important to her that both followers and leaders enjoy the class and learn something that they will take home. Karen started dancing Forró in 2008 in Marburg. In 2014 she moved to Cologne where she joined Forró de Colônia and made Forró a regular part of her life. Two years later Karen started teaching weekly classes with Rudolfo Batista da Silva and Sarah Lein. 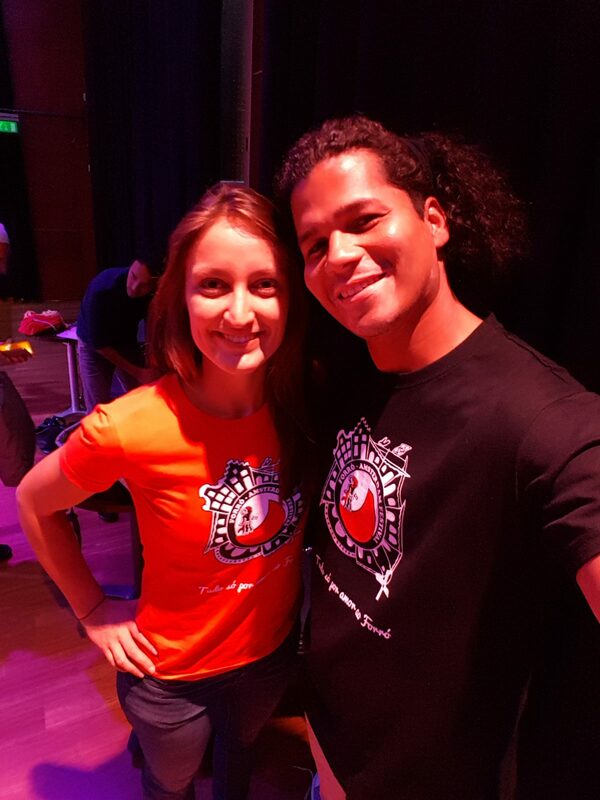 Throughout 2017 she was invited to teach with Daniel Marinho in several European Festivals and eventually teamed up with Marcinho Bezerra for the Amsterdam Festival 2017.